Here you will find answers to frequently asked questions, How-Tos and other self-help items. In case you cannot find the answer to your question - please contact us by submitting a support ticket and someone will get in touch with you quickly. Before you can create a ticket you will have to create an account (in case you do not have one) first and log in. Log into the support system and create a support ticket. To search the articles below or any other part of our website - simply start typing into the "Search..." box in the top right corner and results will show up automatically. 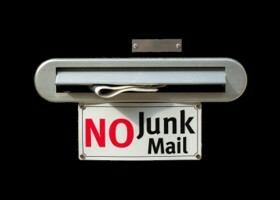 IMPORTANT NOTE: Starting May 2009, Virtual Email Addresses will no longer be supported in ChoiceMail. Please make sure you update your accounts with third pary vendors accordingly. This area contains documentation related to our business products. How to do various things in ChoiceMail. Help with configuring ChoiceMail and email applications. Frequently asked questions about ChoiceMail Small Business can be found here. Frequently asked questions about ChoiceMail challenge/response issues.